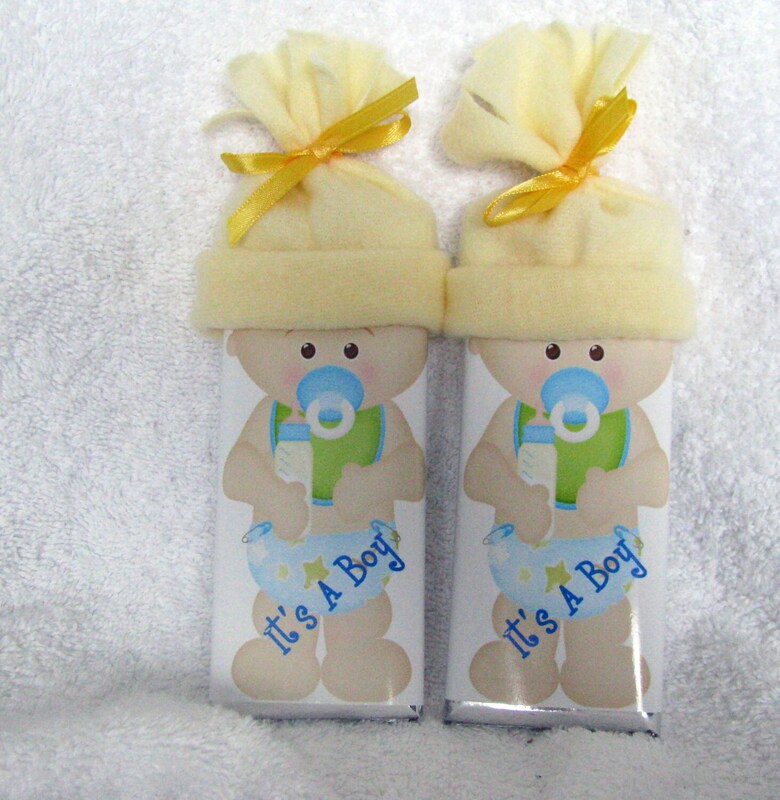 Our personalized baby shower Hershey bars take the traditional chocolate bar and add an adorable personalized WOW for a wonderful party favor. 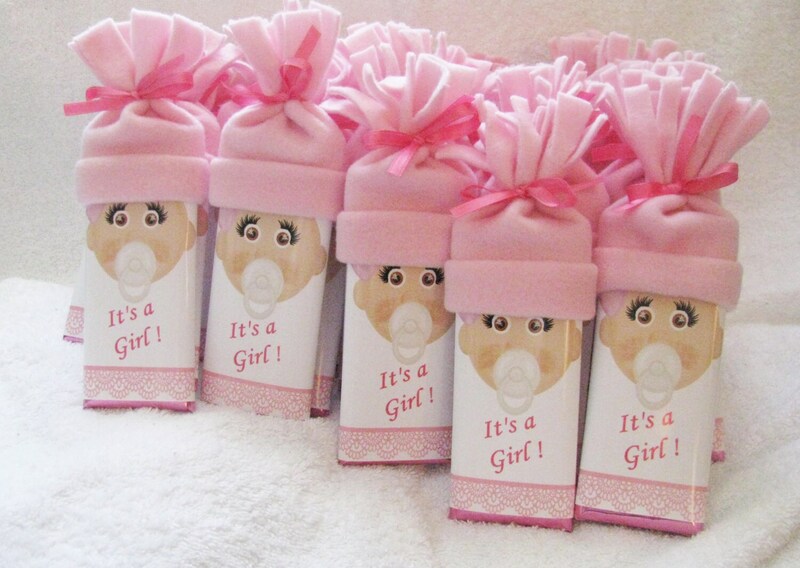 Make the baby shower extra special for mommy-to-be and all her guests with these fun and unique baby shower favors. These adorable personalized and custom baby bars will tickles your fancy. 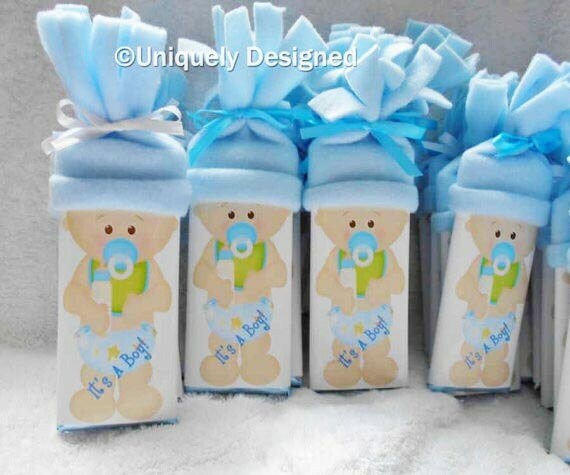 Add the name of the mother, parents or baby to make these extra special! Along with a date if you like. 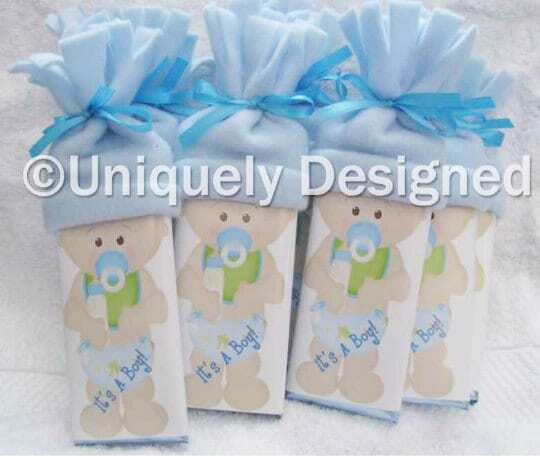 We also add cute little sayings on the back to make these bars extra special. 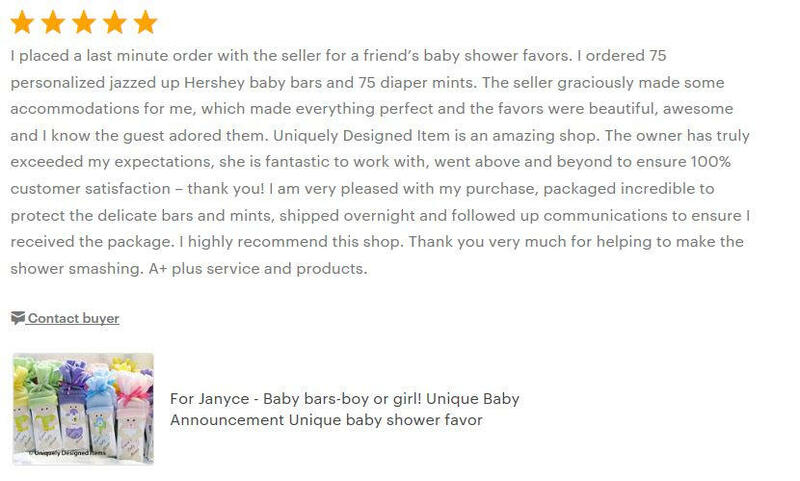 Each bar is $4.25 and a labor of love that we are pleased to give you! It includes everything from any custom work to personalizing, the Hershey bar, handmade hat, and foil. Everything is assembled and ready to go! I do many large orders. In order to keep shipping at a reasonable cost, I have kept the listings at about 60 (and 50 in the summer to leave room for an ice pack). However, I do many over 100. And can easily ship them in two boxes when needed. Please message me that you need more and I will adjust the shipping and listing for you.